I am an experienced and innovative interior designer focused on customer service. 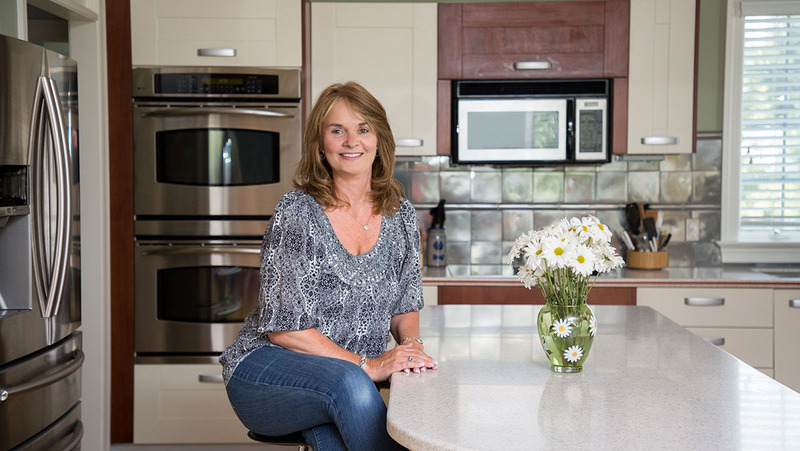 I have served as the Vice President of Communications for the local chapter of the National Kitchen and Bath Association where I am also a member. I earned my degree in interior design from The Art Institute of York Pennsylvania after years of designing for friends and family. I finally decided to bring my talents and passion to my very own interior design business based in Carlisle, PA. I have the knowledge and ability to transform your living areas into the spaces you’ve always dreamed about. I integrate color, texture and expertly appointed details into my organized and precise designs. I work on projects of all sizes, from complete design services to simply helping clients choose the perfect paint colors for their home. Most of all, I love to ensure the client is pleased and we’ve created their true vision for their space. After completing projects, my clients often tell me I have become both a trusted advisor and close friend! I also take on select commercial projects in addition to residential design work, and find helping people feel happy and comfortable in their office space is also quite rewarding. Interior design is not just a career for me – it’s a passion! I love meeting interesting and eclectic people, and enjoy the variety of experiences a design career provides. I also work to educate the public about what interior design involves. Design companies such as mine do more than just decorate – we offer services such as space planning, color consulting, and detailed architectural design plans from new builds to room additions. I believe service to the community is also very important and I have donated my time, contacts and design skills to great causes. Most recently, to a title one elementary school library project where we took a dark and dated space to a bright and colorful environment where imagination can thrive to enhance creativity and learning. Be sure to check out the gallery for the great photos! I thrive on creating a space for my clients that they will enjoy long after the process is complete and I look forward to designing a special area just for you! Internships at Mary K. Interiors and Interior Dimensions after graduation. Graduated from The Art Institute of York, Pennsylvania, June 2009 with an Associate Degree in Specialized Technology in Interior Design. Perfect Attendance Awards in 2009 for exceptional attendance through education at The Art Institute of York Pennsylvania. Lisa O’Brien, of Lisa O’Brien Interior Designs, is now one of the select group of professionals nationwide to earn the Certified Aging-in-Place Specialist (CAPS) designation, identifying her as an Interior Designer with the skills and knowledge necessary to remodel or modify a home to meet the unique needs of the older population, disabled owners (temporary or long-term) and their visitors. In three days of coursework, the CAPS curriculum incorporates market demographics, communication techniques, marketing, common barriers and solutions, building codes and standards, product ideas and resources and business management. Professional Member of the NKBA (Susquehanna Chapter) – 2015 to 2017 VP of Communications.